Dr. Dalia is General Practitioner in neonatology department with over 6 years of experience in Paediatrics and Neonatology. She completed her M.B.B.S in Medicine and Surgery from Al-Neelain University, Khartoum - Sudan. 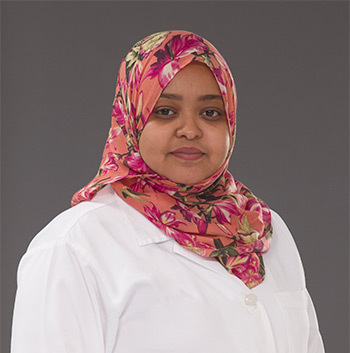 She completed her First part in Paediatrics MD from Sudan Medical Specialization Board (SMSB) in 2011. Dr. Dalia has keen interest in neonatology and NICU. She has attended various conferences, seminars and workshop in different specialties. She additionally completed various courses in Paediatrics including Basic Life and Neonatal support. Dr. Dalia speaks Arabic and English.